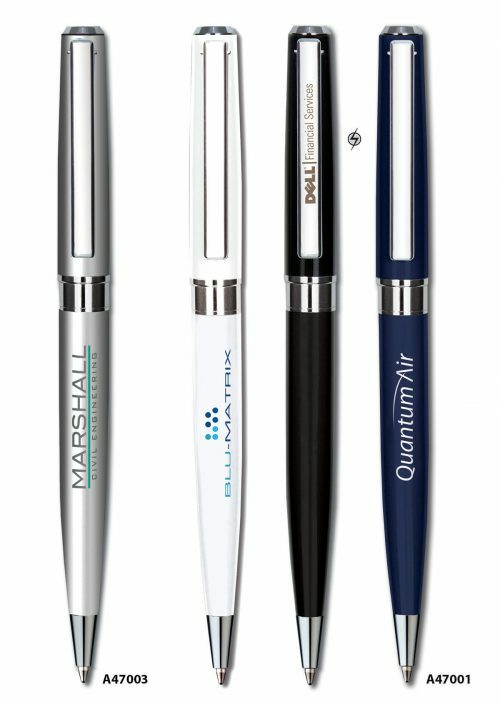 A high quality twist action ballpen in three standard gloss lacquered colours or silver satin chrome with bright chrome styling. 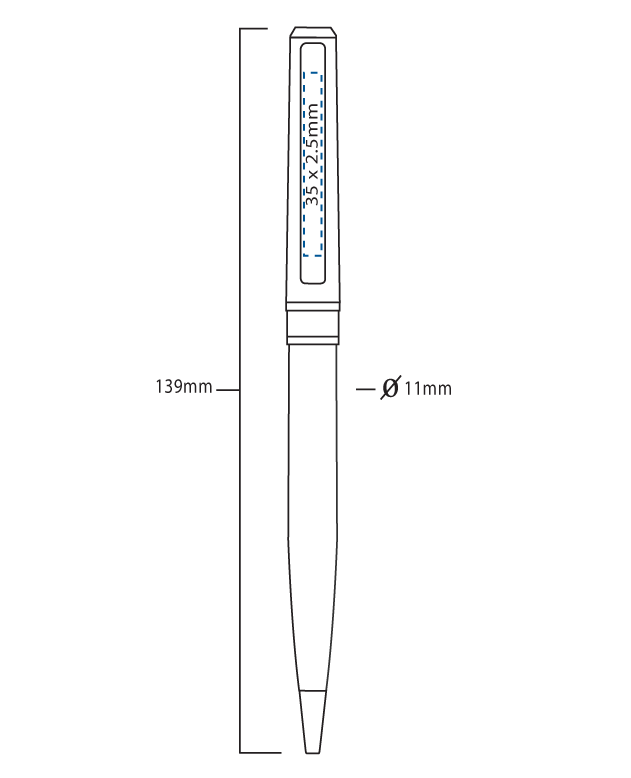 A47001 Santos ballpen by Inovo Design in gloss lacquered white, black or midnight blue or with bright chrome styling. Fitted with a German made Parker style black ink refill. 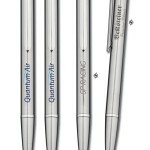 A47003 Silver Santos ballpen by Inovo Design in a silver satin chrome finish with bright chrome styling. 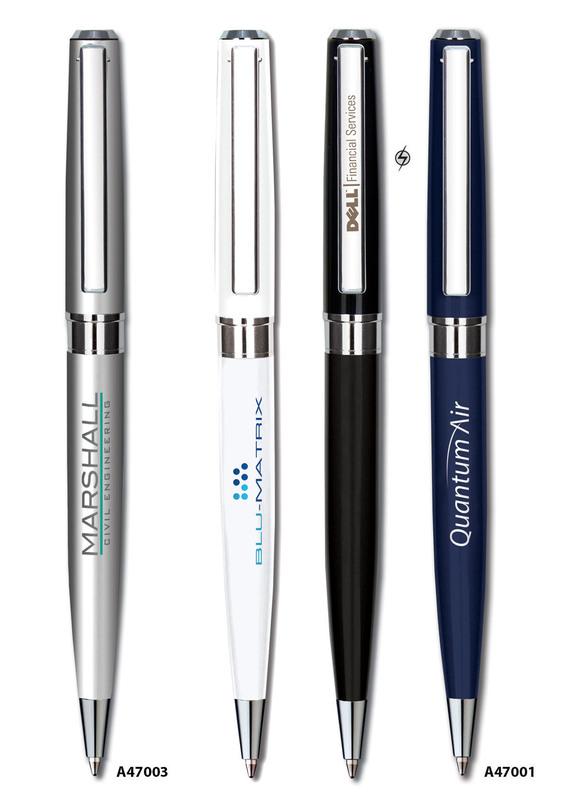 Fitted with a German made Super Smooth Parker style black ink refill. 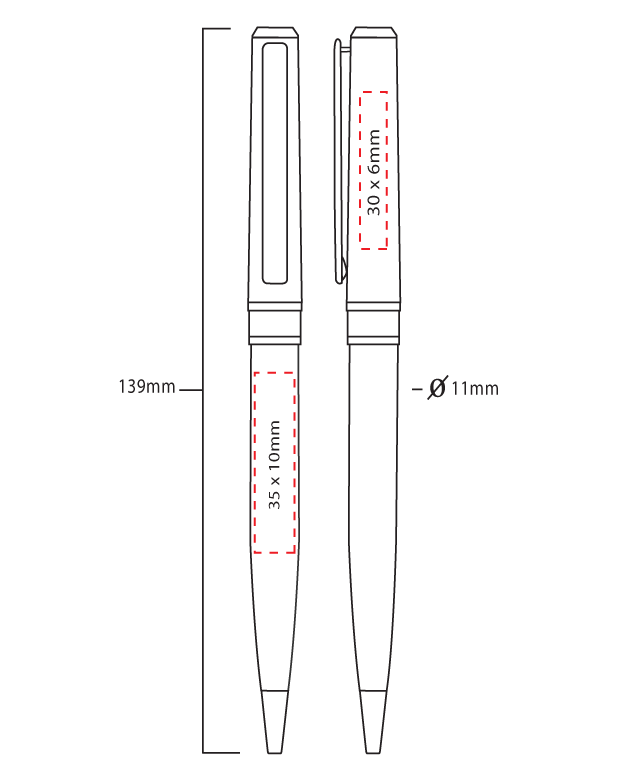 The tube illustrated below is a recommendation for the Santos range and is charged at additional cost to the unit price of the pen. 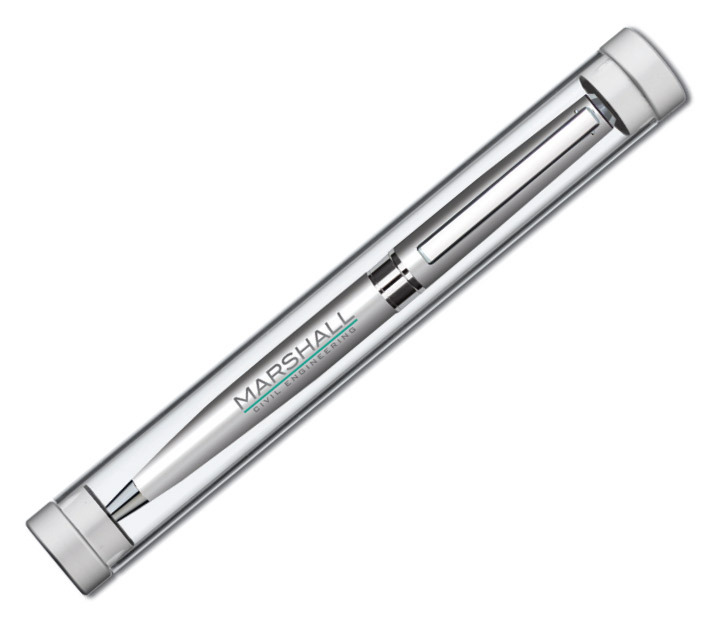 A high quality clear acrylic pen tube with silver aluminium end caps.